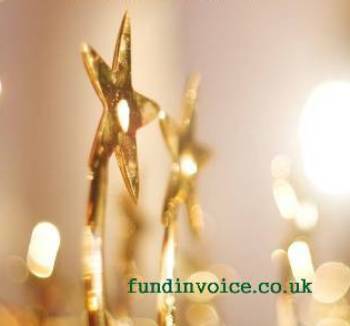 We are pleased to announce that the team at FundInvoice have exceeded our £10M funding target, and arranged £10.75 million of lending for clients. The facilites are spread across a large number of individual corporate clients, and we have dealt with the full range different size clients. Many facilities have been for small businesses, some have been as small as £15K, including a number that we have arranged for new startup companies (which often struggle to find finance). At the other end of the spectrum, we have arranged facilities of several million pounds for large established companies that are seeking to grow and expand further. We endevour to help clients that have been having difficulty finding the funding that they need. We recently reported a 97% success rate in finding finance for companies that we deal with. This means that there is every chance that we will be able to help any company find the finance that it needs - even where others have failed. You may have even been put off from trying to secure the backing you need due to concerns about your history, or situation - you do not need to worry about this, we can make enquiries for you (without any credit searches initially). We deal with lenders that are sympathetic to past trading and financial problems that will take a flexible view. We achieve this by continually building connections with a broad range of different lenders, in particular those that can help with dificult deals that others may have declined. We also seek to keep abreast of new products as they are launched and new offers, including pricing discounts, as they come onto the market. If you need help finding finance for your company please let us try and help you, without obligation for you to proceed, and in total confidence. Call Sean on 03330 113622 or use the green application form that you will find on this page.